It is the silly season in the US. The presidential nominee hopefuls are going around the primary circuit mouthing platitudes and making promises which they hope will sound pleasing enough to their targeted audiences. The candidates frame and package, and reframe and repackage, their messages at each primary contest according to what they figure their audiences would like to hear. All this in order to win their votes. There is a name for this. It is called pandering. Pandering is the act of expressing one’s views in accordance with the likes of a group to which one is attempting to appeal to. The term is most notably associated with politics. In pandering, the views one is expressing are merely for the purpose of drawing support up to and including votes, and do not necessarily reflect one’s personal values. But is pandering prevalent only in the world of politics? How about in other realms? How about in the world of literary writing – and publishing, by extension? Writer Claire Vaye Watkins might have literarily turned on the deluge with her speech- turned-essay “On Pandering” in the November 23 2015 of Tin House. In her soul-searching “confessional”, she admitted to herself and her readers that she had, up till then , been shaping her writing to please the “male white old man”, whose likes and opinions, seem to heavily influence the literary landscape. (Watkins is the successful author of a short stories collection, “Battlehorn” (Riverhead, August 2, 2012) and a novel, “Gold Fame Citrus” (Riverhead, September 25 2015). James’ story about his second novel reminded me of an incident involving my own first book and the first publisher I showed the manuscript to. In an earlier blog post (June 7, 2015, My First Book and What I Learned From Its Publication) I had made mention of the creative differences I had with them. Without going into all the gory details, in the context of this post about pandering, I’ll say that one of those “differences” had to do with the Chinese names of some of the characters – who were Chinese, in most of the stories which were all set in Singapore, a country of predominantly Chinese; the editor wanted these names changed to something more Western sounding because he feared that Western readers would find those Chinese names difficult and unwieldly. He also thought some local cultural aspects too difficult for some western minds to wrap themselves around – such as how could and why should parents sell any of their own children (which happened in one of the stories, and happened quite frequently in the Singapore of the time of the story ) and he wanted it explained, at length. There were other similar areas of contention. My stories were targeted at readers in Singapore and Singaporean expatriates in other parts of the world. The way I had written them made them also very accessible to anyone anywhere else reading them in English. For those non English readers, hopefully there will be translations in time. I saw no need to make any changes just to pander to some potential readers. 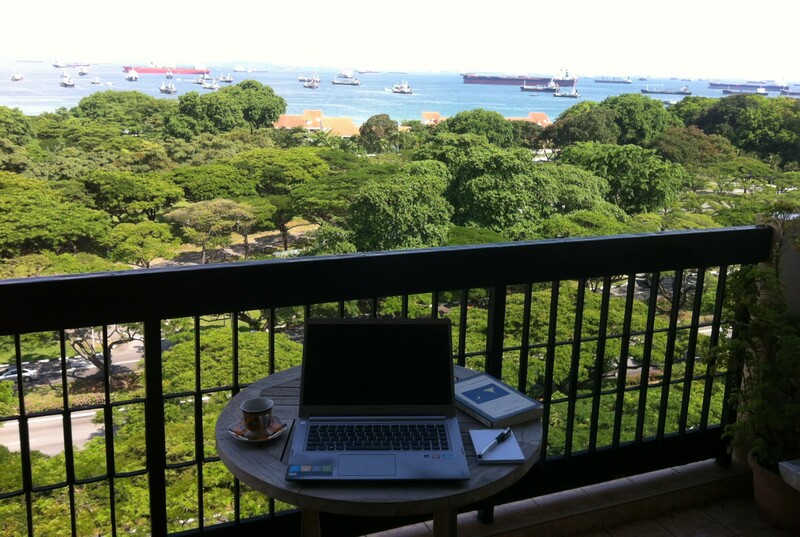 My fellow Singaporean writers, I ask you: for whom are you writing? Don’t answer straight away; think about it for a while first. Then answer honestly. I also address this same question further afield, to the community of Asian Writers, or “Banana Writers”, a term coined by PP Wong, author of “The Life of A Banana”, 2014, Legend Press, and editor of the website, “The Banana Writers”.